excels in enzyme/antibody conjugations. We provides unique and custom antibody labeling service of high-quality and affinity-purified solutions designed to supply research community. Every conjugation is made specifically for each client, ensuring maximum utility and specificity to meet your demand. We are working closely with each client to clearly understand their objectives to identify the proper coupling technique prior to beginning the conjugation. 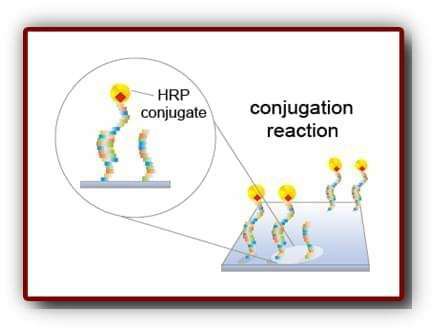 Our enzyme conjugation platform consists of a broad spectrum of effective conjugation of enzymes to various proteins/antibodies which represents high turnover rate, stability, ease of conjugation and relatively low cost. 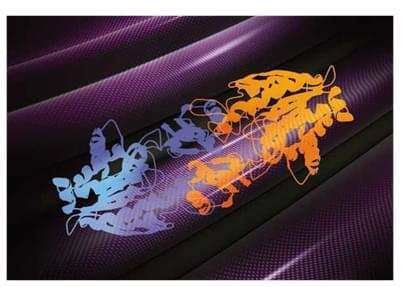 Using our in-house developed techniques, our protein-enzyme or antibody-enzyme labeling conjugation services are prepared that yield an approximate 1:1 ratio of enzyme to protein/antibody analog, thus maximizing retention of both enzyme and carrier protein/antibody activity. Our custom conjugation service is the most efficient and cost-effective commercially available in the market, and we guarantee the quality of our work. 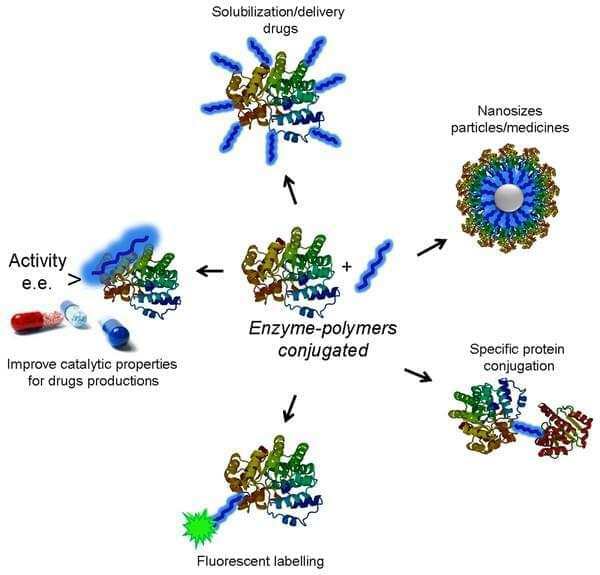 If you don't see the enzyme conjugates you are interested in, just ask! In most cases we can accommodate your request.